EDITOR’S NOTE: The Librotraficante Caravan got underway today in Houston, bound for Tucson. The Arizona city has been the focus of media attention due to a ban on Mexican-American studies by the Tuscon Unified School District. This is the first of many pieces author and Librotraficante founder Tony Diaz will write on the subject for Mamiverse. Librotraficante means “book trafficker.” Mamiverse is a sponsor of the caravan. I always wondered what the world would have been like if my mom could have gone to college. I realize that would be tantamount to asking for the world to be different. And maybe that’s all that I ask. But maybe, the wisdom and love my mom taught me was that the world is changed not just by everything we do, but everything we feel, and when those come together, we see the impact. I think she would believe that this impact is not the only time that change happens, or the only time that our acts matter. I think of all of this on the dawn of when I make an impact. A journalist asked me what I was thinking as I prepared for the Librotraficante Caravan to Arizona. In a development typical of Arizona, the students who walked out on Thursday, protesting the elimination of the district’s Mexican American studies program, have – without a hearing – been directed to perform janitorial duties this Saturday: an amazing message, right out of Newt Gingrich’s playbook (he has been campaigning in the GOP presidential nomination race, proposing the idea that students should be hired as janitors to teach them a work ethic). Apparently, TUSD administrators are paying attention. Native American Studies wasn’t abolished in AZ because it is protected by federal law. Why isn’t Mexican-American studies protected by federal law? I saw the list of banned books and it’s extensive. The list includes not only Latino authors, but also Shakespeare, Thoreau, James Baldwin, Nelson Mandela, bell hooks, Sherman Alexie, etc. The list gives lie to the racists who say that this class promotes one ethnic group over another when it obviously included perspectives from many different groups of people and tried to find similarities among them. 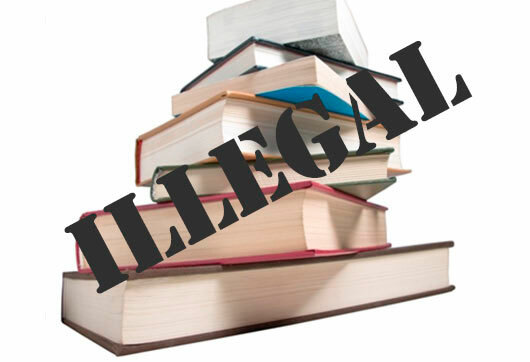 This ban on “ethnic studies” just part of the overall effort to destroy the public schools.